Around 1748, the young British furniture maker Thomas Chippendale moved from his home in Yorkshire to London, a cosmopolitan city full of opportunity but also stiff competition in the luxury trades. Although there was no guarantee that his business would succeed, within a decade “Chippendale” had become a household name and a hallmark of quality British Furniture. This classically inspired, fan-shaped chair back with a central medallion draped in garlands is one of the few examples of furniture that can be securely attributed to the workshop of Thomas Chippendale. 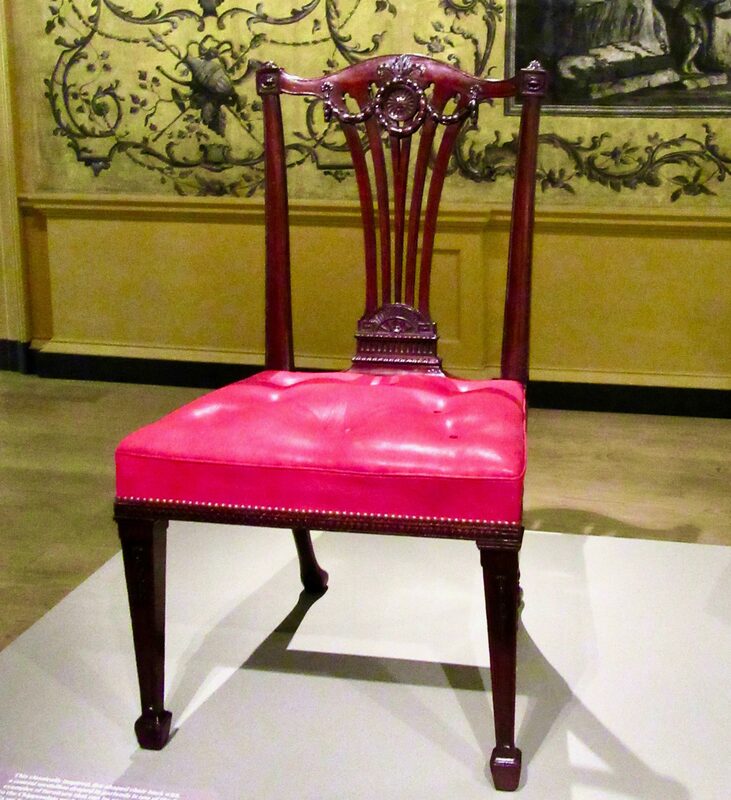 This Chippendale Side Chair was made as part of a set of fourteen for the politician Daniel Lascelles (1712 — 1795) at Goldsborough Hall, Yorkshire. 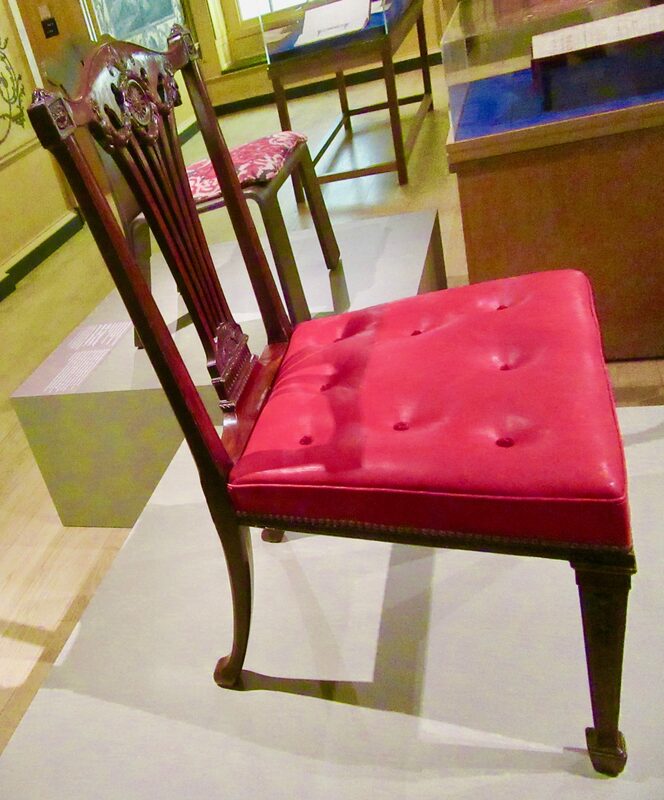 Executed from Mahogany in the neoclassical style, the chair illustrates how Chippendale kept-up-to date-on the latest fashions and tastes of his clients. 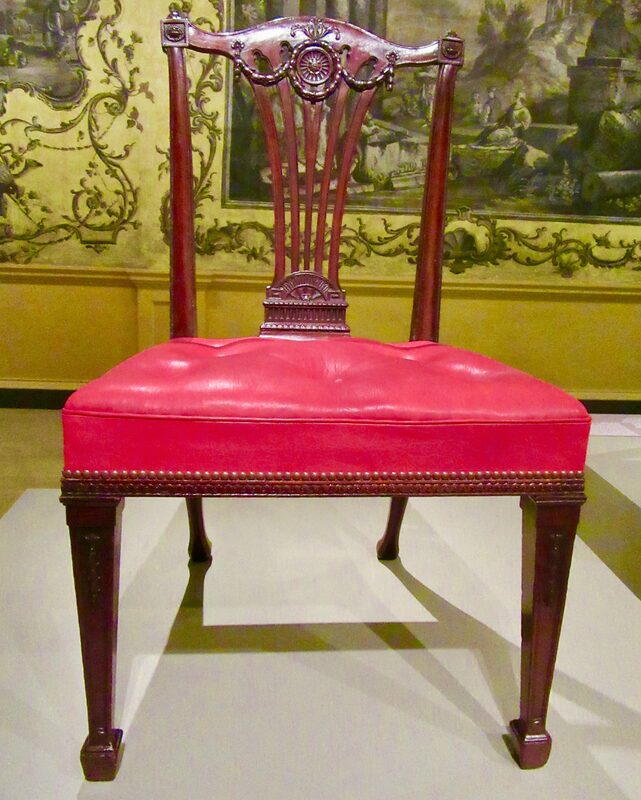 His workshop created similar sets of neoclassical chairs, including one for Daniel’s brother Edwin at Harewood House, where Chippendale collaborated with the famous architect, Robert Adam (1728 — 1792). Chippendale’s designs spread throughout the British Empire, following the routes of the nation’s expanding maritime trade and colonization of North America and the Caribbean. As talented craftsmen and consumers adopted his design and aesthetic, blending them with their own local traditions, the name Chippendale came to refer not only to a prominent local cabinetmaker but also to an enduring style, one that has played a central role in British and American furniture design for more than 250 years. 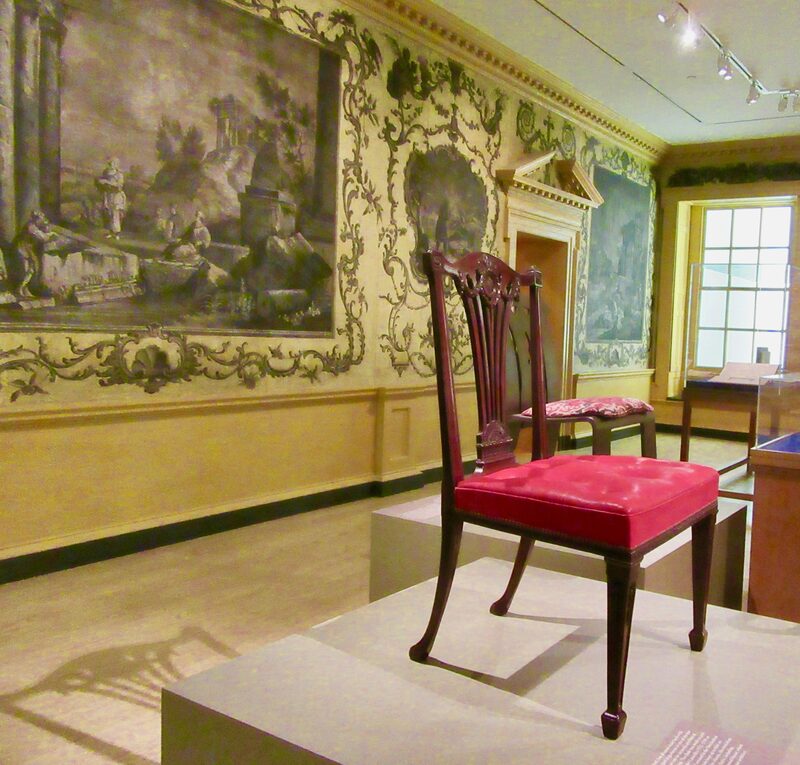 Photographed as Part of The Exhibit: Chippendale’s Director: The Designs and Legacy of Furniture Maker at the Metropolitan Museum of Art in NYC.